We rented a boat from vathy and all I have to say is that it was a great experience! We visit a lot of secluded beaches not accessible by road! And all the hidden coves! Thanx Stavros from the experience! Από τις δραστηριότητες που πρέπει οπωσδήποτε να δοκιμάσετε. Επικοινωνήστε όσο πιο γρήγορα γίνεται γιατί στις περιόδους υψηλής ζήτησης δεν υπάρχει βάρκα. Επισκεφθήκαμε πολλές παραλίες που δεν είναι προσβάσιμες με άλλο τρόπο. Ρωτήστε σίγουρα για τον καιρό καθώς το απόγευμα που επιστρέφαμε το κύμα μας κούρασε ιδιαίτερα. Μια εξαιρετική βόλτα στις παραλίες της Ιθάκης! Επισκεφτήκαμε την Ιθάκη τον Αύγουστο κ καθώς οι καλύτερες παραλίες του νησιού δεν είναι προσβάσιμες από ξηράς αποφασίσαμε να νοικιάσουμε βάρκα ώστε να τις δούμε. Πραγματικά ήταν η καλύτερη ημέρα των διακοπών μας στο νησί καθώς πήγαμε σε πανέμορφες παραλίες στις οποίες ήμασταν σχεδόν μόνοι! Αυτό που μας έκανε εξαιρετική εντύπωση ήταν η προθυμία και η ευγένεια του Σταύρου (είναι ο ιδιοκτήτης) να μας βοηθήσει και να μας δώσει ό,τι οδηγία και πληροφορία χρειαστήκαμε καθώς και οι εξαιρετικές βάρκες που διαθέτει! Πραγματικά το συστήνω ανεπιφύλακτα ακόμη και αν δεν είστε πολύ έμπειροι με τη θάλασσα καθώς οι ήρεμη θάλασσα του Ιονίου σε συνδυασμό με τη βοήθεια και την εμπειρία του Σταύρου θα κάνουν την ημέρα σας αξέχαστη! The day we rented this boat became the highlight of our trip… Dropping anchor at all the beautiful little coves, going snorkeling… It was awesome.Kids loved it!!.. Did this on our last full day on Island.. If we had an additional day would definitely do it again…. Renting a boat was one of the better ideas we had. Easy, nice and a lot of fun. Really recommend for everyone that loves the sea. Don’t miss it! The staff is very friendly! They guide the customers for 15 minutes at the beginning! Many bidding places and beaches to discover! That’s why Ithaca is full with boats and catamarans! I regret that I did not hire the boat from the day one! Don’t forget to book a boat in advance!!! We booked this boat hire two days in advance. We were given a demonstration on how to steer the boat and instruction on where we could go and how to drop the anchor. The boat was very easy to use and we had a fabulous day out exploring beaches that you couldn’t get to by road, there were quite a few. The fuel used is added on to the price of the hire at the end.We had no experience of handling a boat and had no issues whatsoever. I would thoroughly recommend this company. Rented a boat from Stavros and his little helper who’s name now fails me. Great people really helpful and we had such a great day out we rented again 2 days later thanks to a cancellation. Anybody going to Ithaca must rent a boat and see the island. Stunning bays with aqua water. A must. We will return and will use Stavros again. We hired a boat from Vathy. It is 80 euros for the boat and you pay for the fuel. My teenage boy enjoyed it a lot. We had no idea of driving a boat until Ithaca boats encouraged us and taught a few things. I definitely recommend renting one because there are beaches that you can not go by car. It was so much fun. We hired a rib from Stavros for 2 weeks. The boat was in excellent condition well maintained and with all the necessary equipment. Stavros met us every day to see if everything was ok and took care of refueling. There are a variety of boats for hire all in very good condition and all with a spare emergency engine. Stavros is very friendly and helpful and was a pleasure to deal with. Amazing get-around-hidden-gem-beaches in Ithaca! 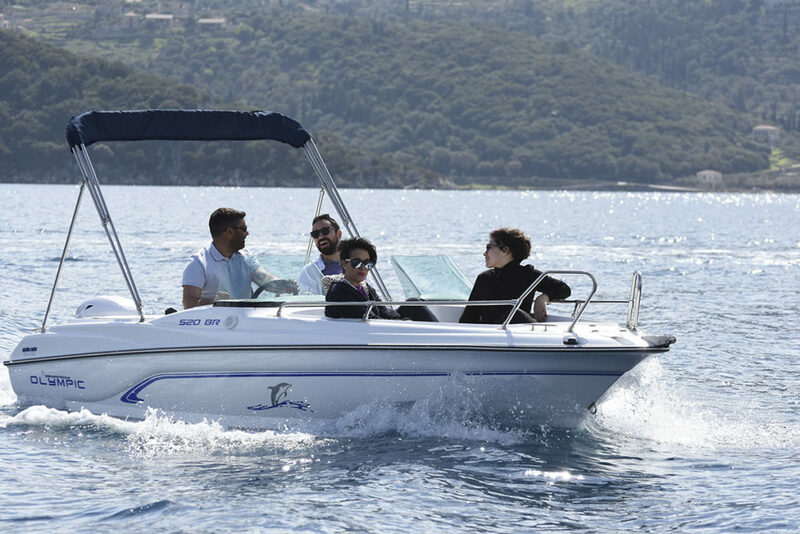 We were looking for hiring a boat with friends so that we could get around the island and approach gorgeous hard-to-reach secluded light-blue and green-coloured water beaches… Stavros’s speedboats is the best option available in Ithaca. From the very first moment, we were looked after by Stavros and felt safe with his instructions regarding navigating issues. Undoubtedly recommended experience! Don’t miss getting to Platinamos beach and Gidaki beach! You truly feel you are in paradise 🙂 Thank you Stavros for everything! The best day of our trip! This was the absolute favourite day of our 2 week holiday for all three of us. Book well in advance because it’s a popular one too. If you fancy hiring a boat this is where to come. Even if you have no previous experience the thorough briefing at the beginning of the day will give you the confidence to enjoy playing captain for the day. Stavros is really helpful and make sure everyone is comfortable and well informed before departing. Take a packed lunch and cold water with you. Thank you for the great experience Stavros!